But before you sign up, there is a problem you should consider. The model was built on the premise that an endeavor doesn’t need a lot of money from any one person, but can appeal to a large group of people for small contributions that together have a big impact. The “crowd” in crowd funding refers to the that large group of contributors/donors. But have you taken a look at a crowdfunding website recently? They are cluttered with fundraisers of all sorts. A single page might contain a fundraiser for a Washington D.C. monument, a fundraiser for a memorial fund, and one requesting funds for an adults only trip to Punta Cana. (No kidding…these are real examples). …Anything that inspires them to give back. When a donor came to your platform, they would see a crowd of fundraisers all supporting YOU. Not a crowd of competing causes. 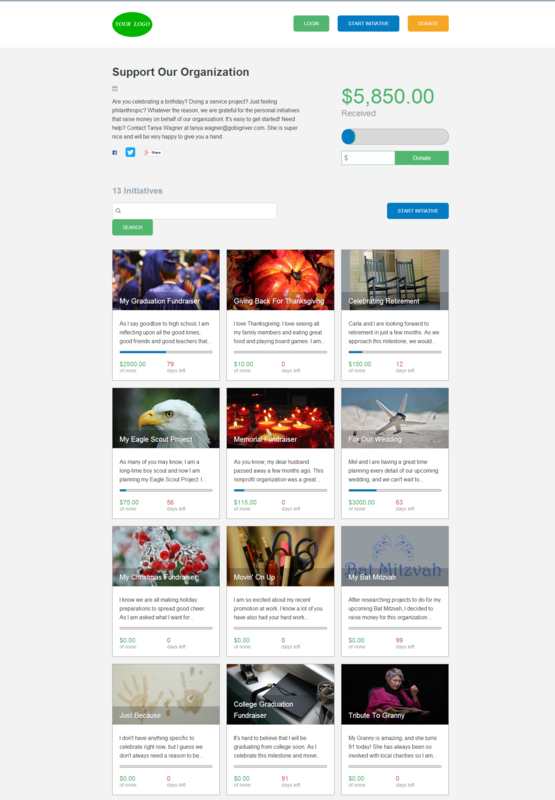 Want to start your own crowdfunding platform?